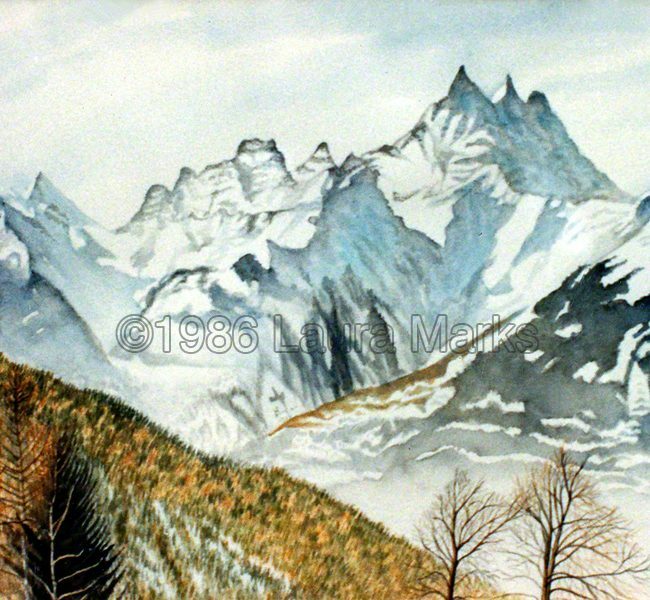 “Les Dents Du Midi” was painted in Villars, Switzerland. 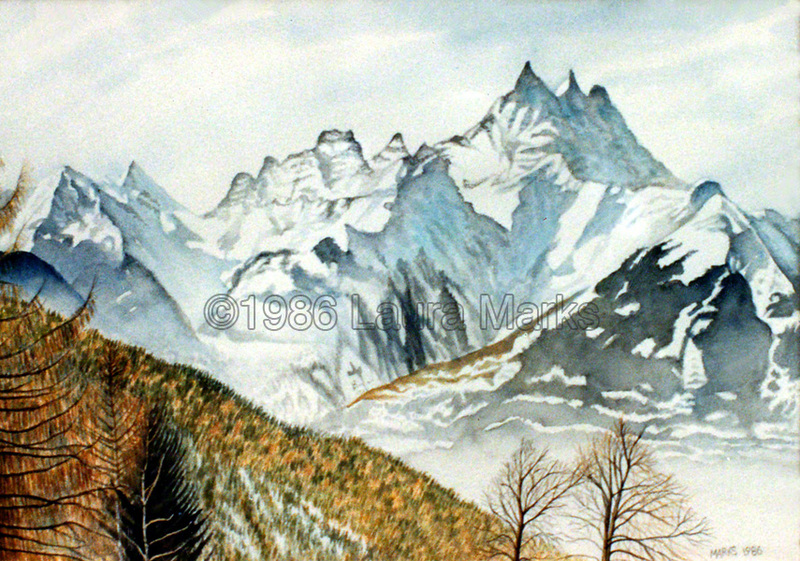 The stay in Villars was the first of Laura’s annual trips to the mountains to paint. The journey from London began after work on Friday when a small group of friends would be picked up in a van and the journey towards Dover would commence. Driving through France overnight, they arrived at their destination sometime in the late afternoon of the following day. Laura painted the mountains while her companions skied.